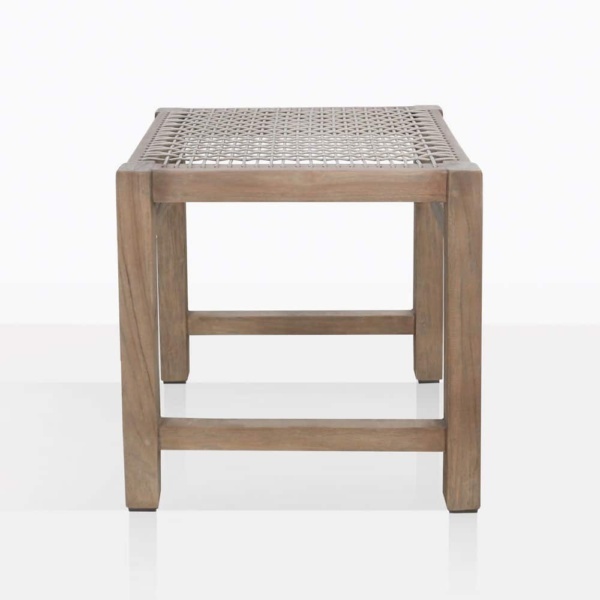 Effortlessly modern and tremendously stylish is the new Gazzoni Teak and Rope Dining Stool from Design Warehouse. A unique design offers up options for transforming your space with stellar style and opulence. 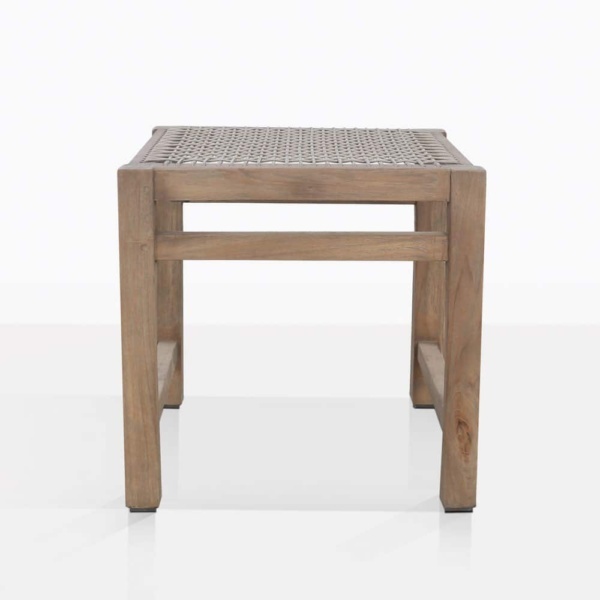 The Gazzoni Stool showcases a characterful aged teak frame, which presents the natural wood in all its glory, while the outdoor rope laced through the top provides a comfortable and attractive seating area for you and your guests to relax in. 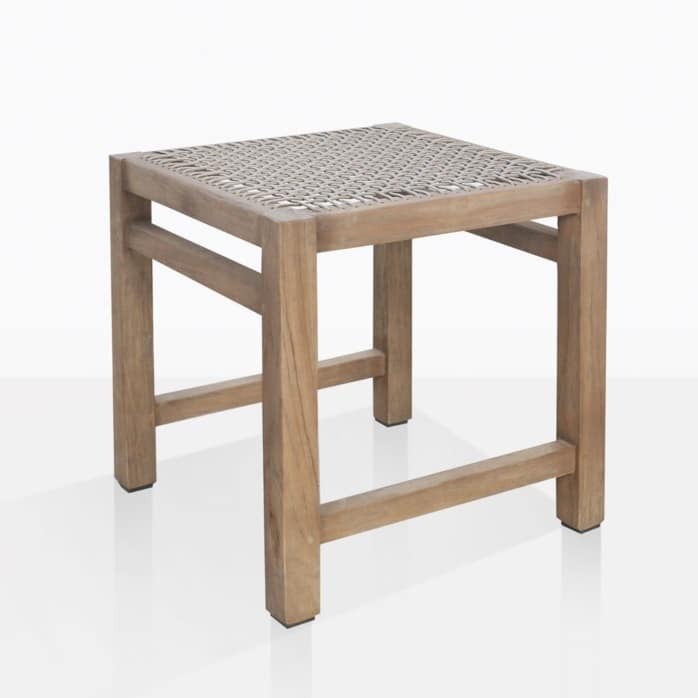 Whether you place this incredible Gazzoni Teak Stool outside around your fabulous outdoor dining table, or alongside an indoor one, we know you’ll be delighted with the look and feel of this spectacular piece. Also in the Gazzoni Collection is an elegant side table, as well as seating options such as the Gazzoni Corner and Centre piece to construct your most comfortable outdoor area. Place the Gazzoni around one of incredible modern Dining Tables, such as a concrete or aluminium variety for an incredibly chic look and feel. Dress to impress with the Gazzoni Teak Stool as it offers up comfort for you and your guests. This is the perfect item to incorporate when you have a view to look over and don’t want the obstruction of a dining chair. Enjoy a stool that carries with it personality, panache and style. Made from stunning aged teak and premium outdoor rope, the Gazzoni Dining Stools offer up a lesson in affordable style and luxury. You’ll be impressed with the quality and comfort of these beautiful stools. Design Warehouse is the premium leader in luxury outdoor furniture. We are proud to carry an incredible range of furniture that allows you to enjoy an open air living room, full of chic, refinement and luxury. From our superb dining options, to deep seating, relaxation, accessories, shading and more, the options at Design Warehouse will delight you. There is something for everyone!